Brands should be using their new-found wealth in customer data to deliver the same levels of personalised experience offered in the days of the friendly corner shop or local pub, Nectar UK’s marketing chief claims. 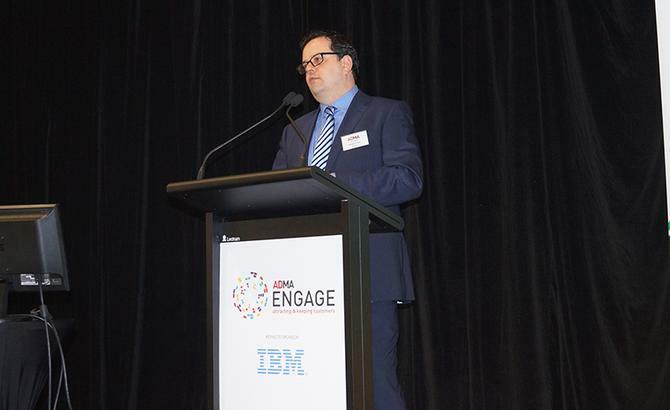 The loyalty program provider’s marketing director, James Frost, spoke on modern-day customer engagement at the Association for data-driven Marketing and Advertising (ADMA) Engage event in Sydney on 12 November. Nectar is a part of global provider AIMIA, and manages more than 1250 programs as well as customer loyalty, analytics and proprietary loyalty services. While the rise of large-scale supermarket chains gave consumers more choices and value-for-money, and the Internet delivered additional convenience, what got left behind was experience, Frost claimed. “We have more choice and know what to do with it; value is everywhere; and convenience is at your fingertips. Experience, however, really lags,” he said. For Frost, the level of experience needed to achieve enriched customer engagement today goes beyond tailored email communications or content on a website. He suggested the three key areas of next-generation experience are personal offers, personalised service, and personal advice. As an example, Frost highlighted Kesko, which uses an individual’s basket data to provide personal advice on more healthy purchasing decisions, as well nutritional content. “This is about turning your data into something that’s more useful for your customer’s own benefit,” he said. Another example of innovation in loyalty driving new customer behaviours is Oxfam, which introduced a ‘tag your bags’ system so that people donating higher quality goods to its store would be rewarded with points when those goods sold. Frost said about 56 million points were issued this way last year. “Let’s make it personal,” he added. Frost also outlined 10 key steps for maintaining a successful customer loyalty program. These are based on lessons learnt by Nectar UK over its 10 years in operation. Keep it simple: Consumers have short attention spans and the rise of digital has created significant noise in the market. Frost advised marketers to “treat every day like it’s the first day”. Choose your friends wisely: Although partners come and go, Frost said it was important to invest in building long-term relationships. For AIMIA, this has included joint business planning. Execute flawlessly: In Nectar UK’s case, 99.999 per cent reliability means 20,000 of its 19 million customers missed out on something, Frost said. Be trustworthy: AIMIA has developed its own ‘TACT’ (transparency, added value, control and trust) framework to ensure customer data is used appropriately, Frost said. He advised other marketers to invest in a similar structure to stay credible. “Usually the companies that get criticised are not doing one of these four things, and often it’s because they haven’t made the added value to the customer clear,” he commented. Market smarter: While most marketers are now at the point of tailoring offerings, Frost said they need to get to a point where they’re customising experience across multiple touchpoints. “Every step in the purchasing cycle has intrinsic value,” he added. Deliver tangible value: Offers need to be good, strong and well-maintained, Frost said. He pointed out that while a high ‘breakage rate’, or percentage of customers not using accrued points in a loyalty program can represent higher profitability, it also means members are not engaged enough. “A loyalty program needs to have a strong currency that’s valued and used as that is what drives behaviour,” he said. In the case of Sainsbury’s for example, value-added offerings have shifted away from luxury items and more towards utilitarian offerings to reflect the tougher economic climate, he said. Innovate or die: Frost advised marketers to constantly test and learn, as well as issue points that are based on more interactional, rather than purely transactional, activity. Imagine tomorrow: Frost also highlighted the significant impact of convergence on customer loyalty and engagement. “The next convergence will occur across the data, mobile and payment industries and that’s going to make a big change to the dynamics of the loyalty industry,” he predicted. Nectar UK's clients include Sainsbury’s, British Gas and BP, while AIMIA's Australian customers range from Coles and the Commonwealth Bank to Virgin Australia, Echo Entertainment and TAB.